Feeling like pizza, but gluten prevents you from enjoying it? There are ways to enjoy this yummy meal without the gluten! Here are some tips that can help you create a meal that will not only taste good, but make you feel good for the rest of the day. In the end, it all comes down to the crust. Creating a crust without gluten may seem tricky, but there are ways to overcome this obstacle. 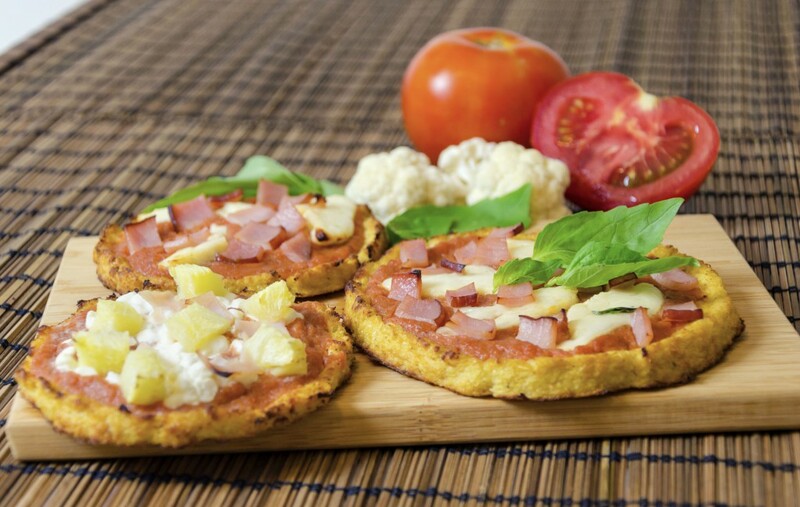 Yes, you can make a pizza crust with cauliflower! Although it may be disappointing to use a vegetable instead of flour to make a pizza crust, you may be getting the better end of the deal. There are many benefits to cauliflower in one’s diet. Some of these include the amount of nutrients, including a large amount of fiber. It has also been said to help in weight loss and in the prevention of diseases, including cancer. If you are still wanting to go for the flour route with your pizza, this may be the option for you. There are many benefits in using this flour over other flours in general due to the low amount of carbs and sugars and the aid it gives your metabolism. Although it may sound crazy, you can make a pizza crust with POTATOES! According to the Food Network, using a ricer you can create a satisfying crust with potatoes that is yummy and enjoyable. Potatoes also have advantages in the health of the heart, bones, and blood. In various gluten-free recipes, chefs use other types of flours as a substitute for those flours containing gluten. These can include but are not limited to: tapioca, chickpea, white rice, sorghum. Check out more about these types of flours and what they are used for in cooking! Many bloggers have played with this delicious dinner enough to make gluten-free more enjoyable. Some tips they have given include creating a thinner crust, letting the crust ferment, and oiling the pans well. In essence, the goal is to make the gluten-free pizza not too flat or stiff, but ones that rise well and are fluffy. The Food Network has more tips and tricks that can help with creating this balance. In the end, don’t fret when your desire for pizza arrives. There are ways to satisfy that desire and feel good after. No Comments to "Delicious Gluten-Free Pizza Options"